Oki Sato from Japanese design studio Nendo loves creating moments of surprise. 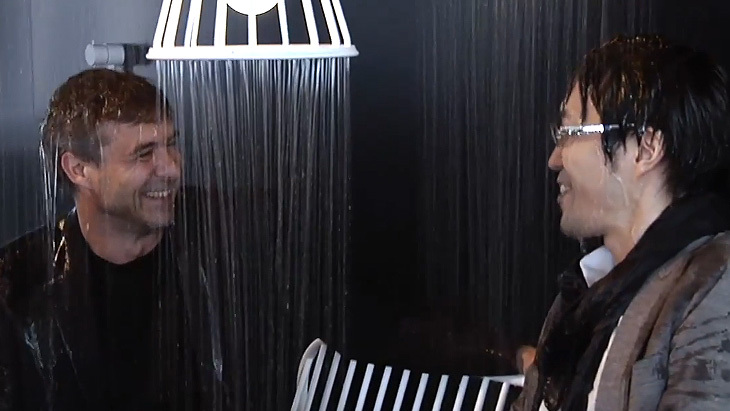 So he completely baffles us with a lamp that is actually a shower. Inspired by a floor lamp, his dream is to combine totally different living areas. 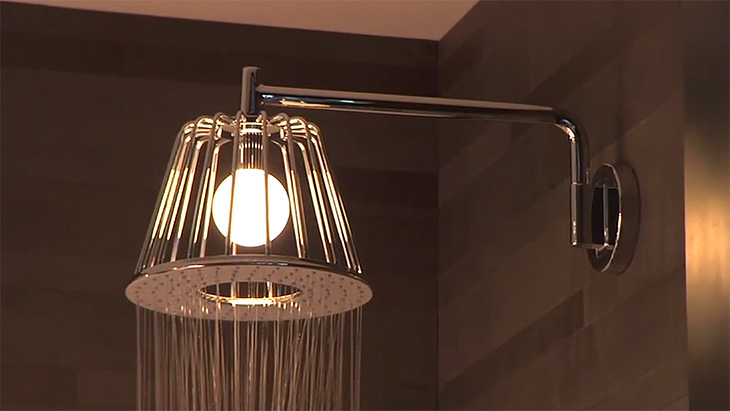 What would a combined shower and light look like? One where you can simply draw up a chair, switch on the light and read? In the AXOR LampShower, water and light are brought together in perfect harmony. While at first glance this looks like a lamp, on looking closer you find that it offers a one-of-a-kind showering experience. There's an element of magic in the poetic design: a beautifully-formed water jet, which envelops the whole body, rains down from the rim of the transparent lampshade. 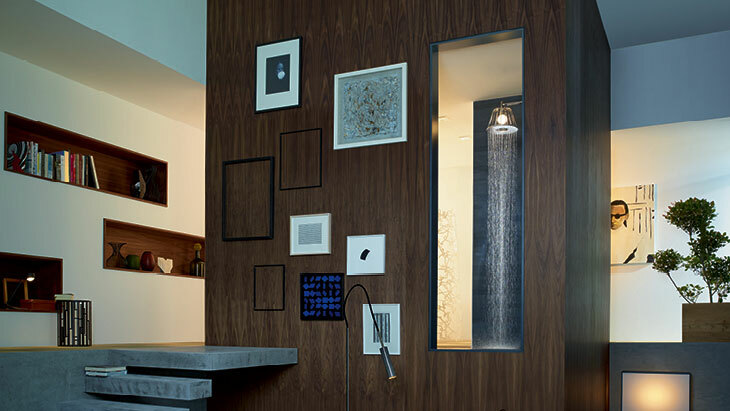 The integrated ambient lighting creates a feel-good atmosphere throughout the entire bathroom. Wall-mounted or on the ceiling: the AXOR LampShower does away with the traditional boundaries between spaces. The bathroom blends into the living area as though it were always so. At the same time, the AXOR LampShower brings a homely feel to the bathroom, and can be perfectly combined with shower and bathroom products from a range of different collections and styles. As well as the chrome variants, the AXOR manufacturing team offers various special finishes, such as a gold look for example. So the AXOR LampShower can be refined to suit personal taste.